St. Martin's Griffin, 9780312280611, 256pp. David is just a little boy, a little boy who loves his mother, and his teddy bear. David wants to make his mummy happy, and tell her he loves her, but can't quite seem to find the words. His verbal communication center is giving him trouble again. He may have to go back to the factory. For more than four decades Brian Aldiss has been confounding the limits of satire, poetry, and science fiction, creating stories from the well of dreamscapes that come up sharp against the cutting edge of our technological society. Brian Aldiss (1925-2017) has won many awards over the span of his 40+ year-long career, and was named a Grand Master by the Science Fiction Writers of America. A longtime resident of Oxford, England, he is the author of dozens of novels and collections. 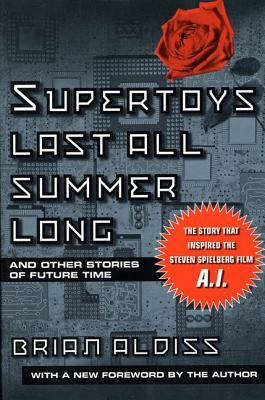 His books include the Helliconia trilogy and the short story "Super-Toys Last All Summer Long," on which the film A.I. Artificial Intelligence was based.